American television host Anthony Bourdain has revealed his wishlist for his upcoming street food hall in New York - and four of the 10 dishes come from Singapore. The 59-year-old chef-turned-TV star, who named the 10 dishes via The List App on Tuesday (Feb 16), is well known for his love of the Hainanese chicken rice sold at Tian Tian in Maxwell Food Centre, so it was naturally in the list. "Dishes from my travels that I want, badly, for my eventual market in NYC. These are the dishes, as prepared by the original vendors, that we need and deserve," he wrote. 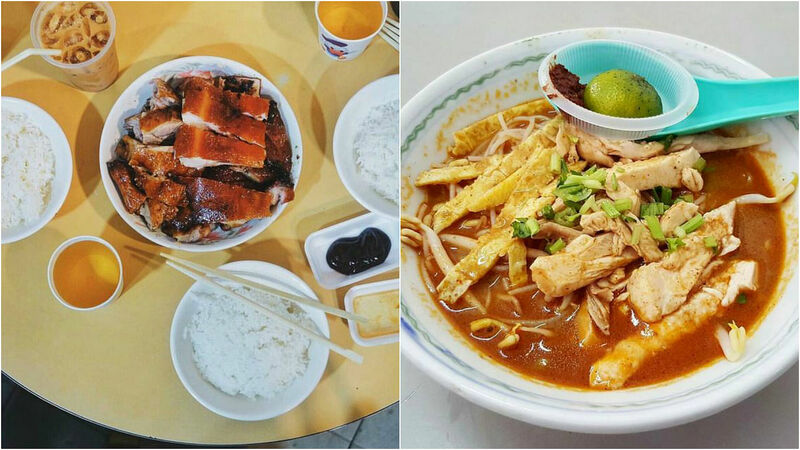 The three other local dishes he highlighted: Hill Street Char Kway Teow in Bedok South Road, Geylang Claypot Rice at 639 Geylang Road and white pepper crab from zi char restaurant JB Ah Meng along Geylang Lorong 23. Three dishes hail from Hong Kong - the beef brisket and shrimp wanton noodle at Mak's Noodle, BBQ pork and roast goose at Joy Hing Roasted Meat and famous dim sum joint Tim Ho Wan. Both Mak's Noodle and Tim Ho Wan have outlets in Singapore. The final three dishes are Sarawak laksa from Malaysia's Choon Hui cafe, cod and octopus ceviche tostada from Mexico's La Guerrerense and Bun Thai from Vietnam's The Lunch Lady. Bourdain first announced in January 2014 his ambitious plan to open a giant food market in New York, when he spoke about a desire to assemble a dream team of chefs, operators and street food and hawker legends from around the world. He has since tried to convince several Singapore hawkers to go to New York or send representatives there. When The Straits Times last spoke to him in October last year, he revealed that deals had been struck with Geylang Claypot Rice and Mexico's La Guerrerense to commit to the project. Bourdain and his partners sub-leased the main concourse and mezzanine of Pier 57 at 15th Street, one of the largest shipping piers located along the Hudson River. "Think of an Asian night market," he said. "Eating and drinking at midnight," he said. Slated for completion in the second half of 2017, Bourdain Market will feature 100 retail and wholesale food vendors from New York, other US cities and overseas. It will also include fishmongers, butchers, bakers and at least one full-service restaurant.